I have to say, I didn’t check any weather forecasts and had absolutely no idea it was going to snow today so imagine my surprise when I looked outside my classroom window, only to see copious amounts of flurries! It was very pretty… that is until I had to scrape the ice and snow off my car after school. Oh the things we midwesterners put up with! Though I’m not quite ready for Winter, I must say we did have an incredibly beautiful Fall here. The weather was gorgeous most of the time, the colors exceptionally vibrant, and I felt like it lasted long enough for me to really enjoy it. Hopefully it’ll come back again for a little bit so I can enjoy it juuuuust a little longer. 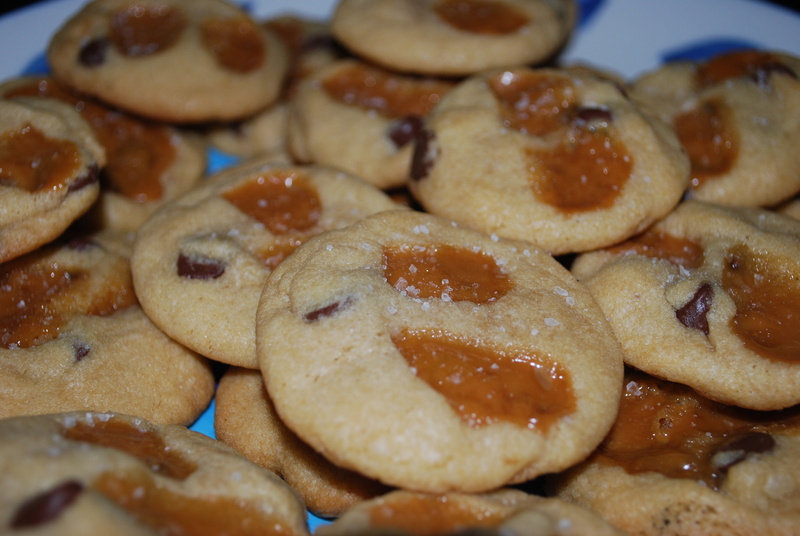 First, you need to know my background with salted caramel. Obsessed isn’t a strong enough word to describe how much I love it. I mentioned in a couple other posts that I spent some time in France. Well the city I lived in, Nantes, is famous for it’s caramel au beurre salé. 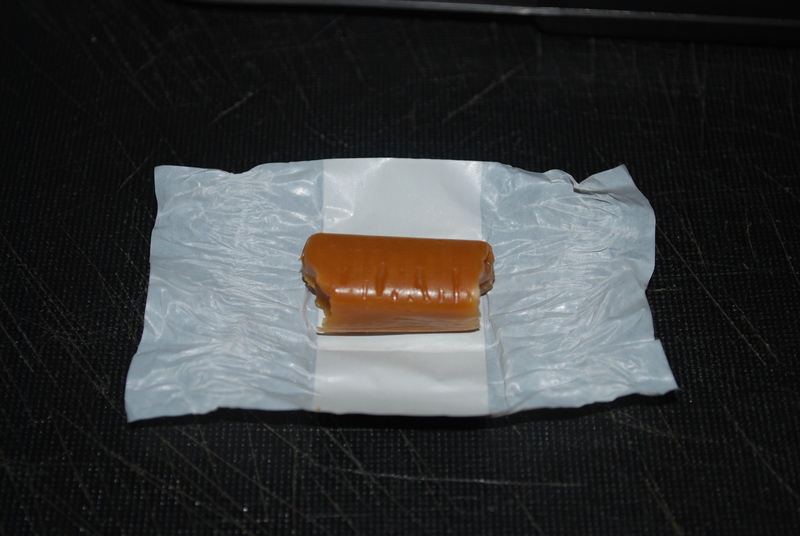 I spent SO much money on caramels, caramel sauce, and pretty much anything with caramel on it. 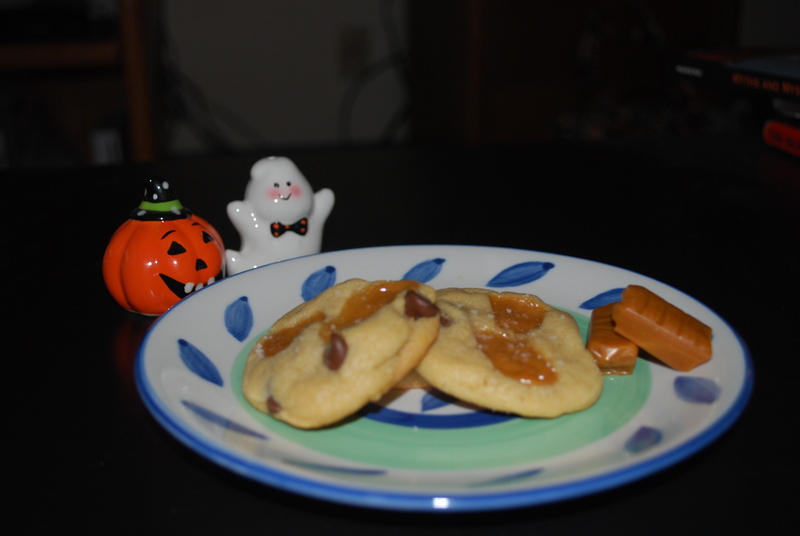 When I spotted these cookies on Pinterest, I knew I just HAD to have them. The best part: they are even better than they look! I love when that happens. Start out with 2 cups and 2 tablespoons of flour and 1/2 teaspoon baking soda. Mix and set aside. 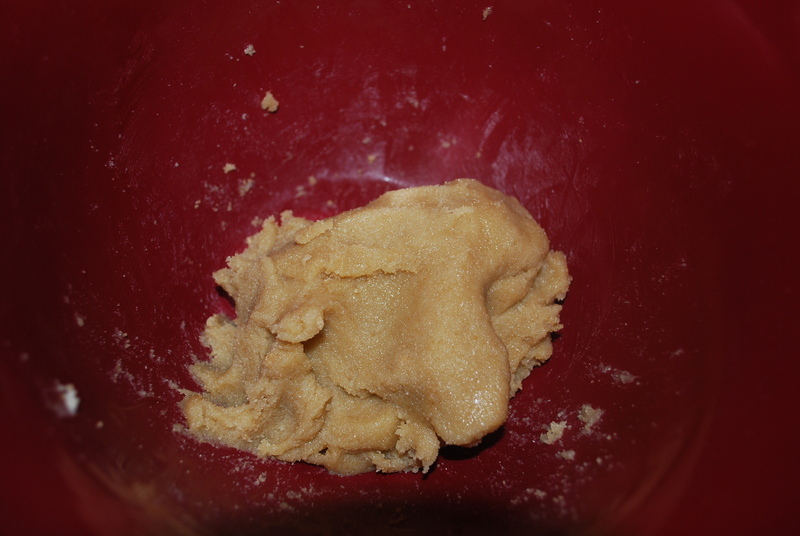 In a different bowl, cream 3/4 cup (1.5 sticks) room temperature salted butter, 1 cup light brown sugar, and 1/2 cup sugar. I creamed my butter the old fashioned way: I sliced the butter into cubes, placed it into the bowl, then mashed it with a wooden spoon until it was soft. Then I added the sugar and mashed it into the butter with a fork. Finally, I used my wooden spoon to stir the mixture until it was light and fluffy. Be careful not to overcream! Next, add in 1 egg, 1 egg yolk, and 2 teaspoons vanilla extract. Make sure your eggs are room temperature before you add them. Mix well. 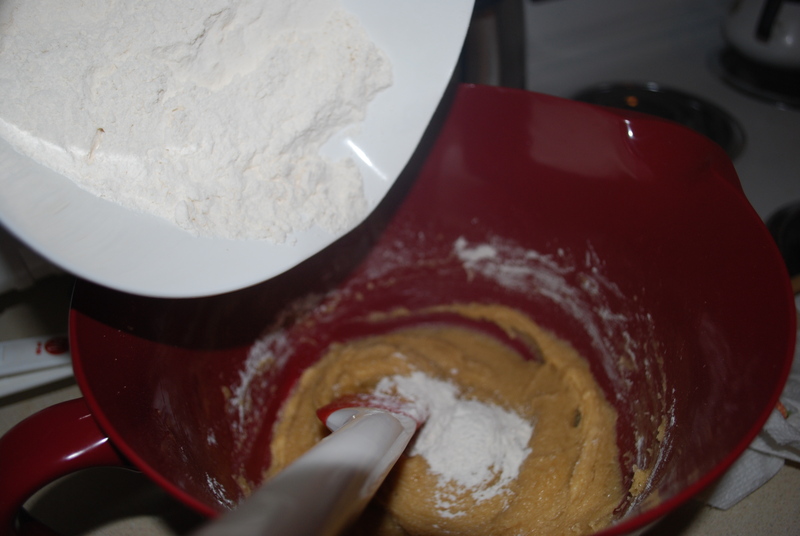 Add in the flour mixture gradually and stir until a dough forms. Be careful not to overmix the dough! Finally fold in 3/4 cup semi-sweet chocolate chips. Chill the dough in the fridge for at least 30 minutes. You could also chill it overnight. While the dough is chilling, prepare your wax paper-covered baking sheet. 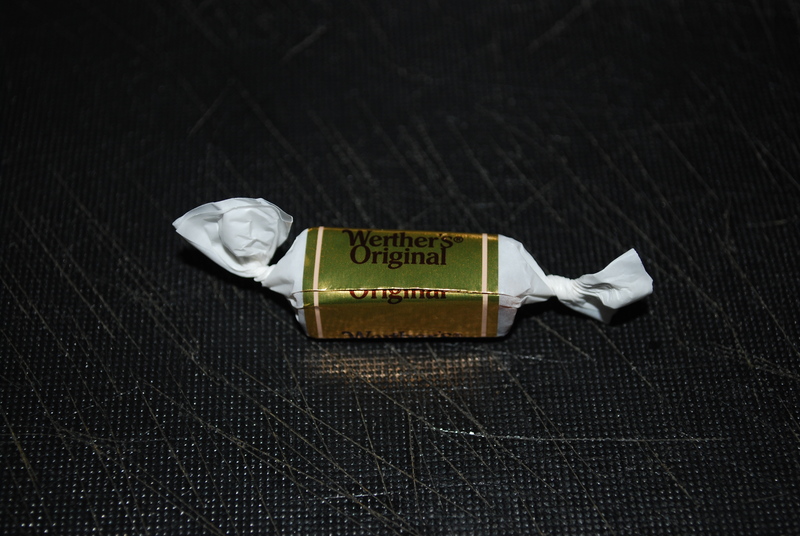 Also, you can go ahead and chop your caramels. 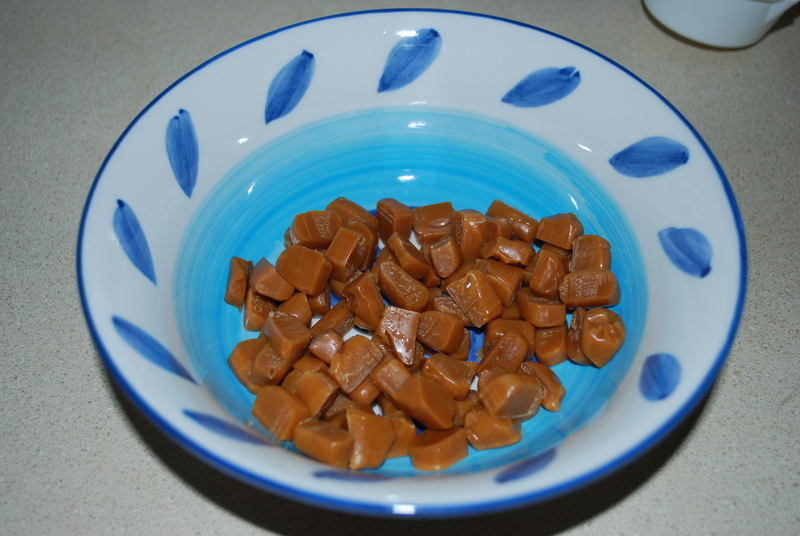 Take 16 caramels, and cut them into 5 pieces each. 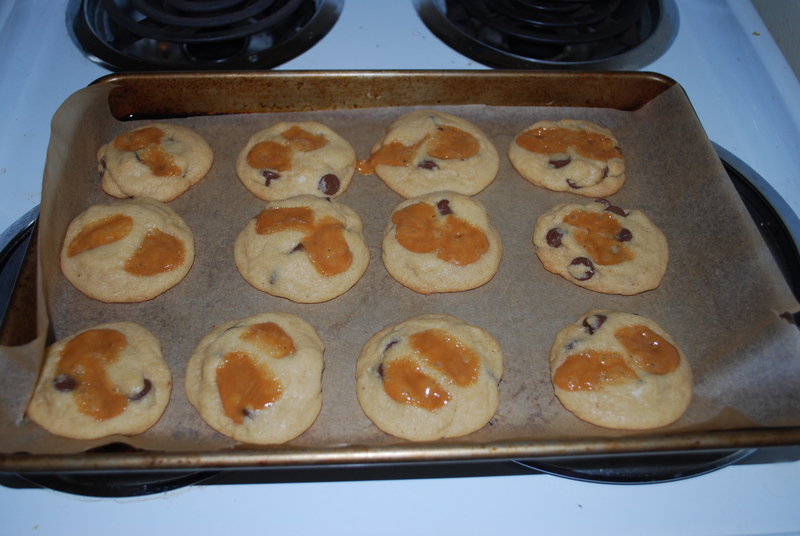 Preheat your oven to 325 degrees F. Place tablespoonfuls of the dough onto the baking sheet, being careful not to crowd. 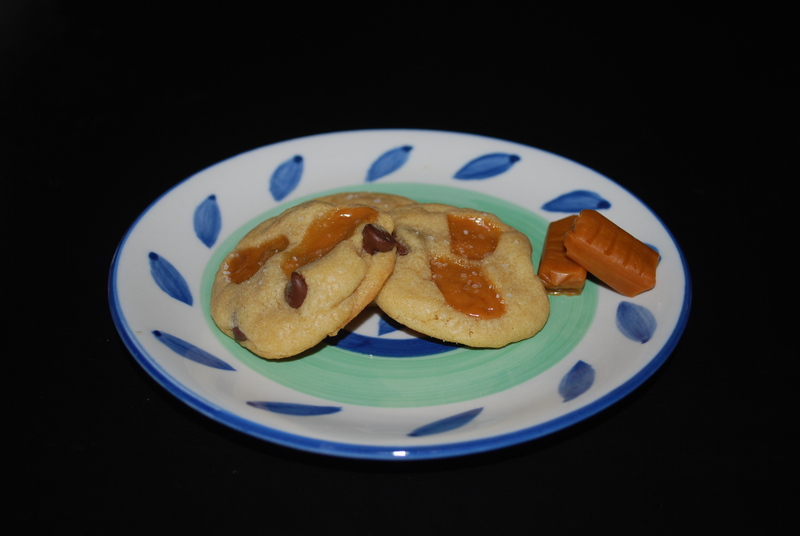 Flatten the cookies a little, then press 2 or 3 pieces of caramel into each cookie. 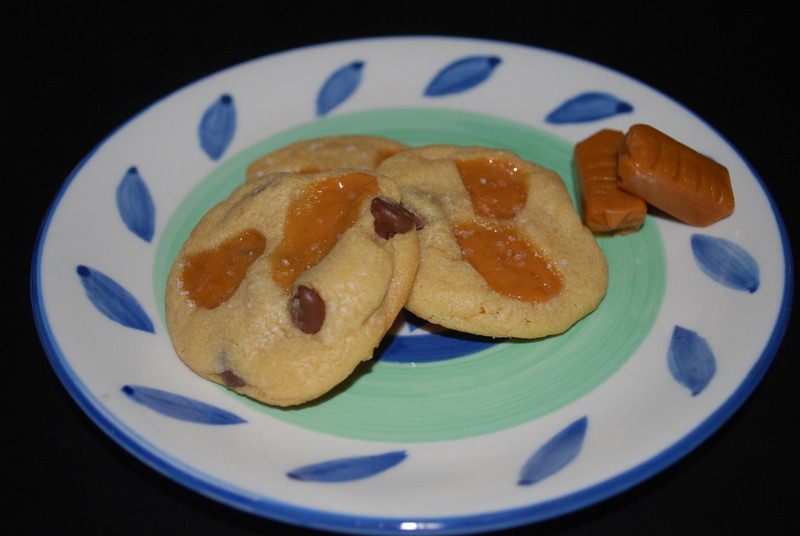 Make sure to keep the caramel towards the center of the cookie so the caramel doesn’t spill out onto the baking sheet and harden. 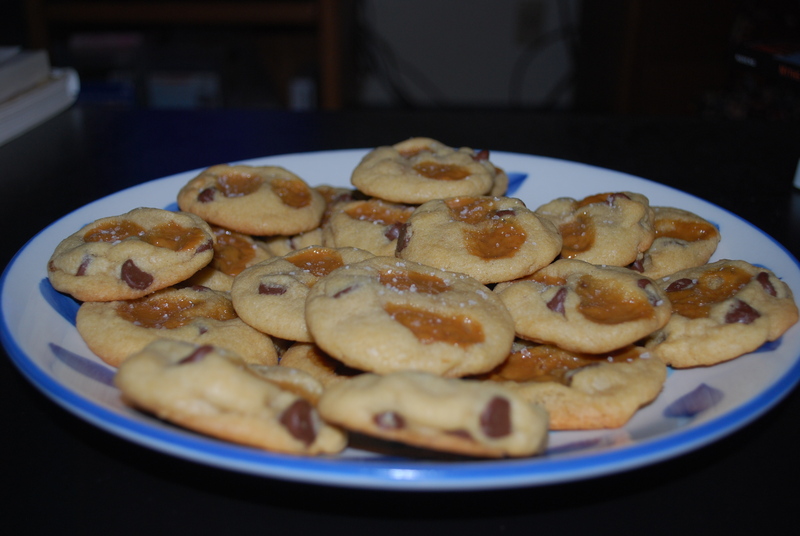 Bake the cookies for approximately 10 minutes, or until the edges are golden (check them occasionally to make sure the caramel isn’t bubbling over). 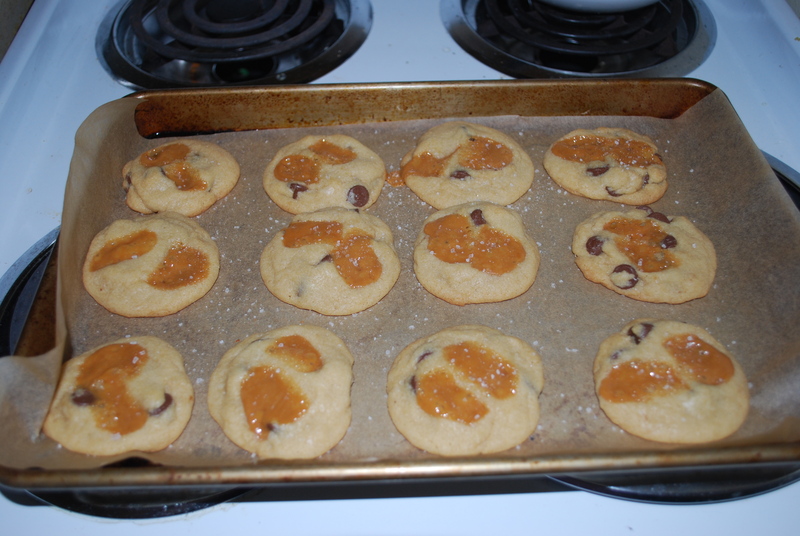 As soon as you pull the cookies out of the oven, sprinkle them with sea salt. Let them cool, then enjoy! 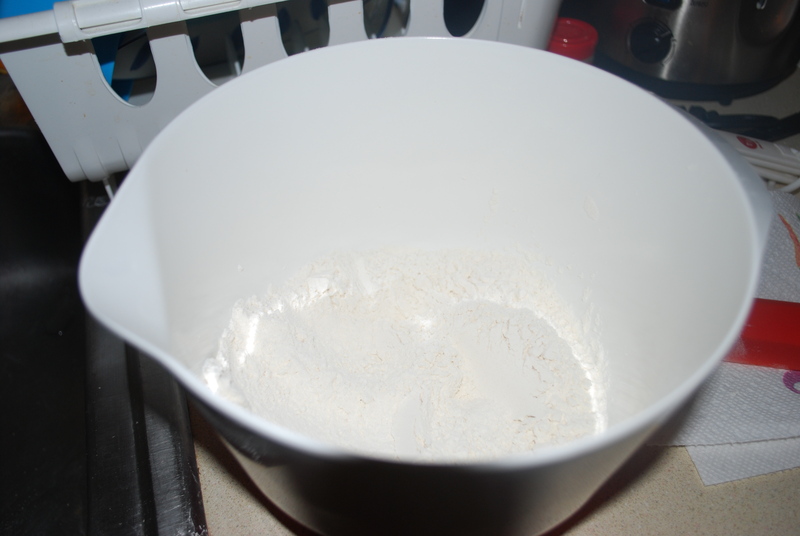 Mix the flour and baking soda in a bowl, then set aside. 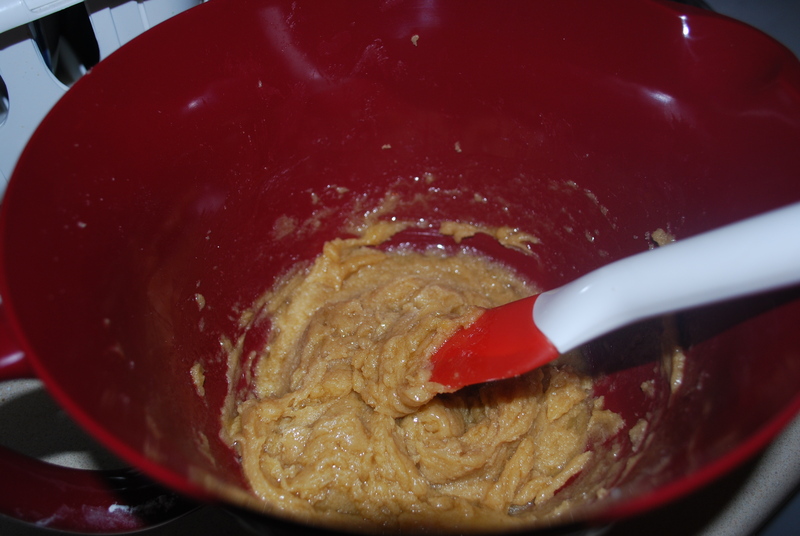 In a different bowl, cream the butter, brown sugar, and sugar together until light and fluffy. Mix in the egg, egg yolk, and vanilla. Add the flour and baking soda mixture gradually and stir to form a dough. Be careful not to overmix the dough. Fold in the chocolate chips. Chill dough for at least 30 minutes in the fridge. You could also refrigerate overnight. 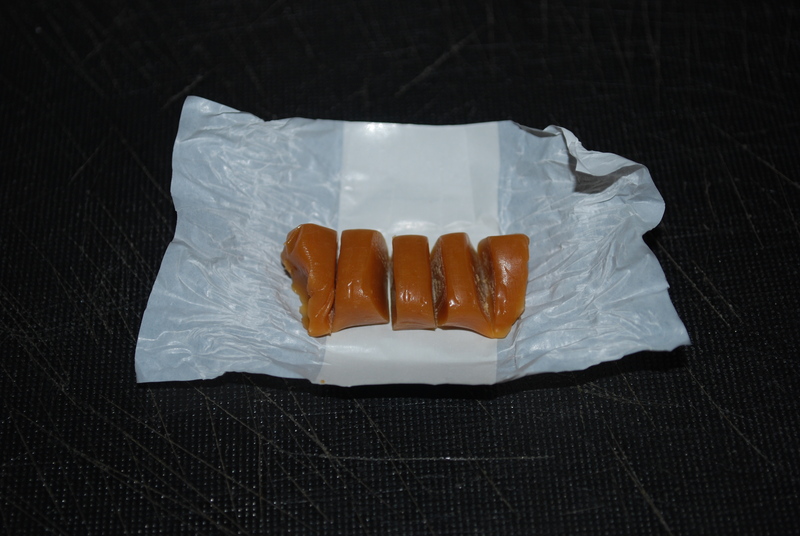 While the dough is chilling, take 16 caramels and cut them into 5 pieces each. Preheat oven to 325 degrees. 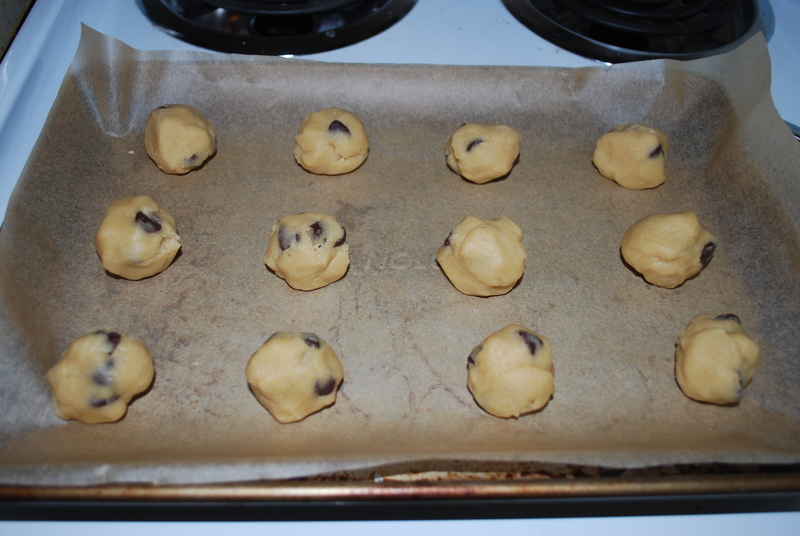 Line a baking sheet with wax paper and place 12 tablespoonfuls of the chilled dough onto the sheet. 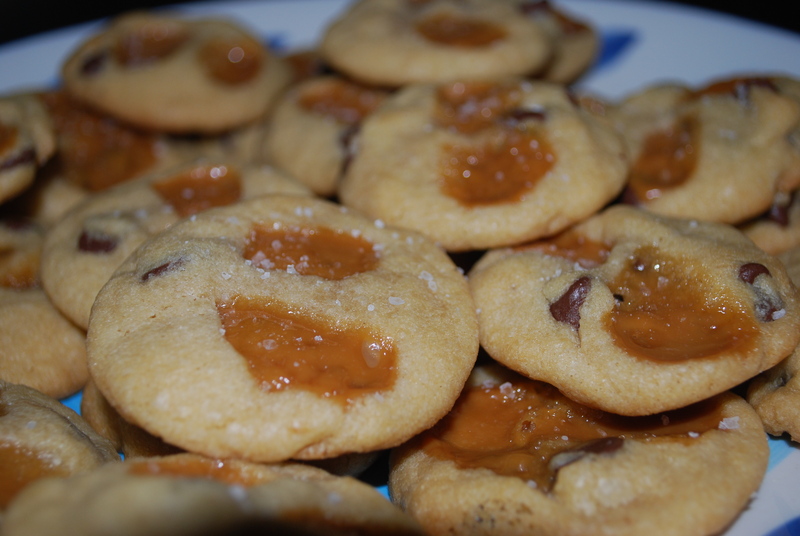 Flatten the cookies a bit then press 2 or 3 pieces of caramel into each. 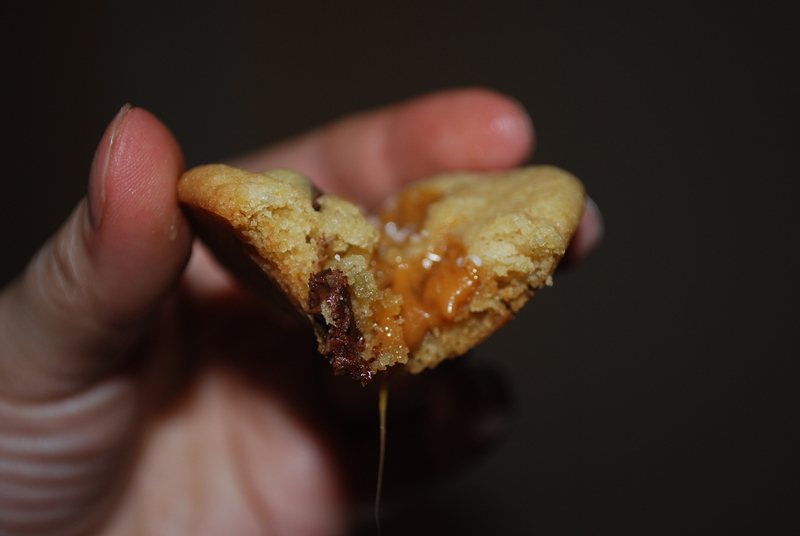 Make sure the pieces of caramel aren’t too close to the edge so they don’t bubble and drip off the cookie while baking. 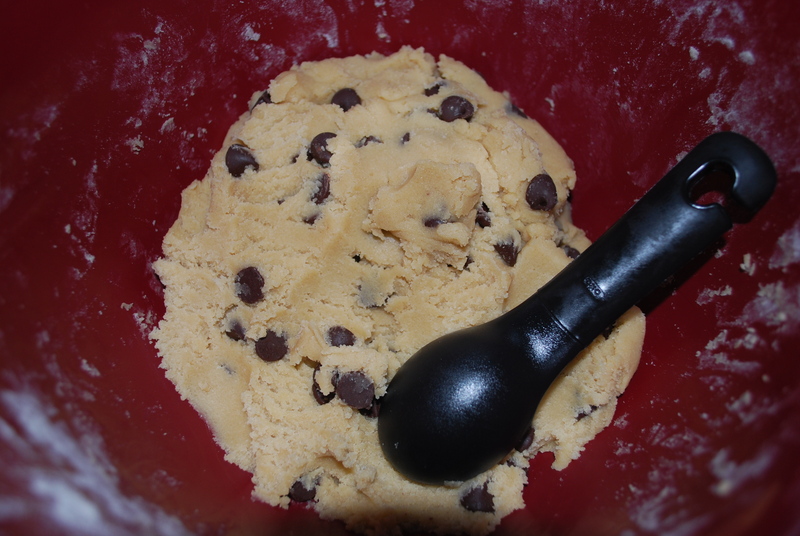 Place unused cookie dough back in the fridge to keep it chilled. 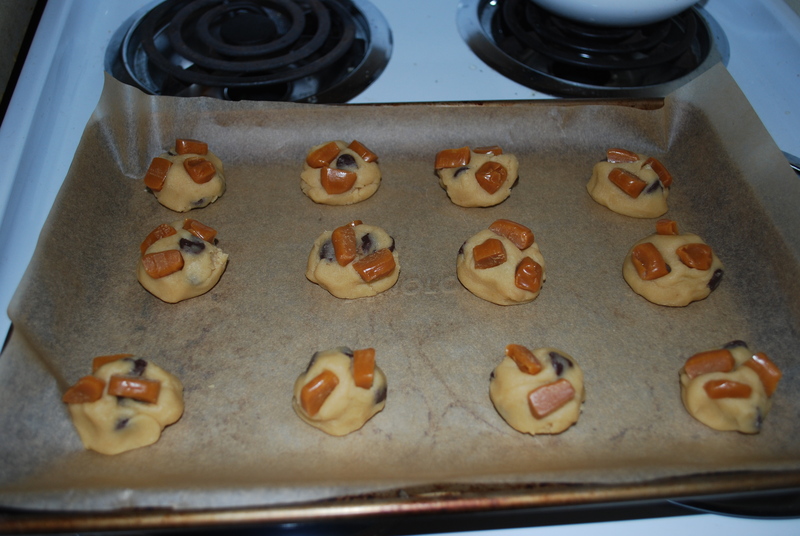 Bake the cookies for about 10 minutes or until the edges are slightly golden and the caramel is melted. 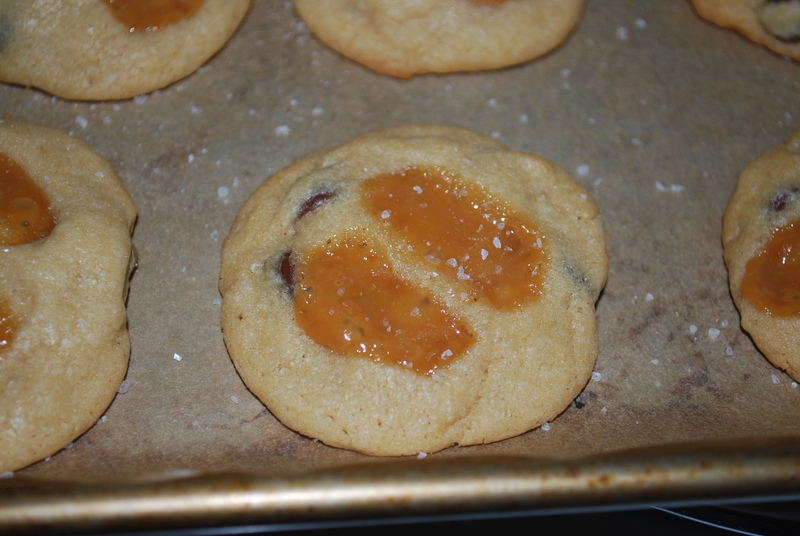 Sprinkle sea salt onto each cookie as soon as you pull them out of the oven. 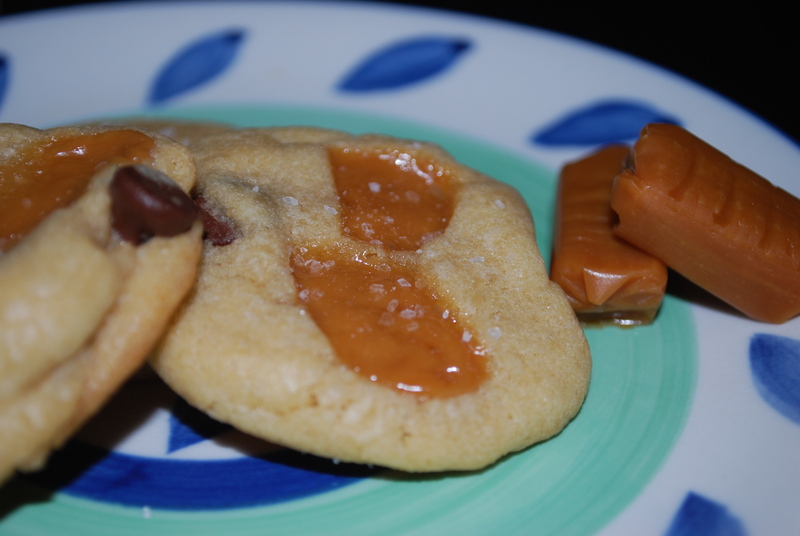 I was a little nervous that the caramel was going to harden on the cookies the next day, but I kept them in airtight containers and both the cookies and caramel in the cookies stayed nice and soft. 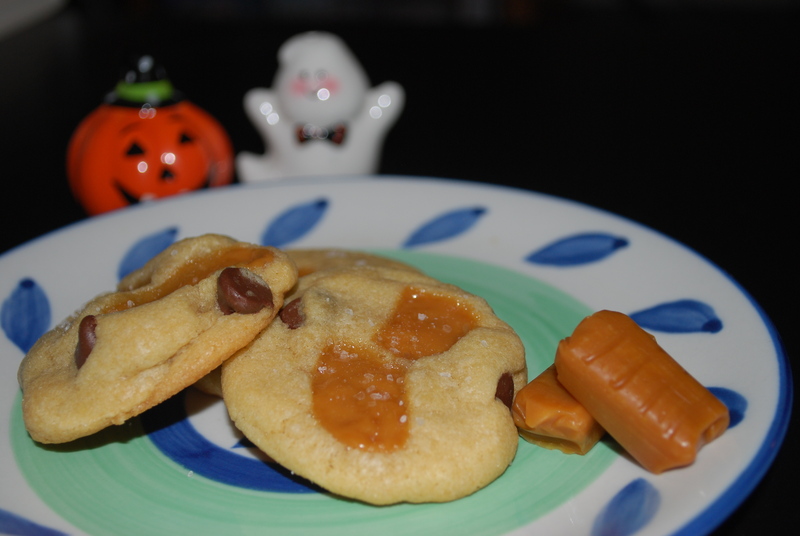 This entry was posted in Desserts and tagged chocolate chip, cookies, dessert, salted caramel, sea salt. Bookmark the permalink.